My aim is to bring my clients personal stories to life in their surroundings. I believe that people don’t simply live in their home, but that they form a relationship with their home, and to this end the interiors I create are a reflection of the people inside. With this philosophy in mind, my style leans toward one that is eclectic and seamlessly blends old with new. In all my work, I strive to create carefully curated, authentic spaces that achieve a balance of decorative styles. My aesthetic has grown out of years spent traveling, living abroad and working at Christie's auction house where I was inundated with visual influences from both the old world and the new. I am naturally drawn to art and objects that are unique, sometimes quirky, often whimsical and have a history. Most homeowners already carry with them such pieces — ones that hold their own personal story — be they family heirlooms, souvenirs acquired on travels or simply items they have fallen in love with along their life journey and brought into their homes. 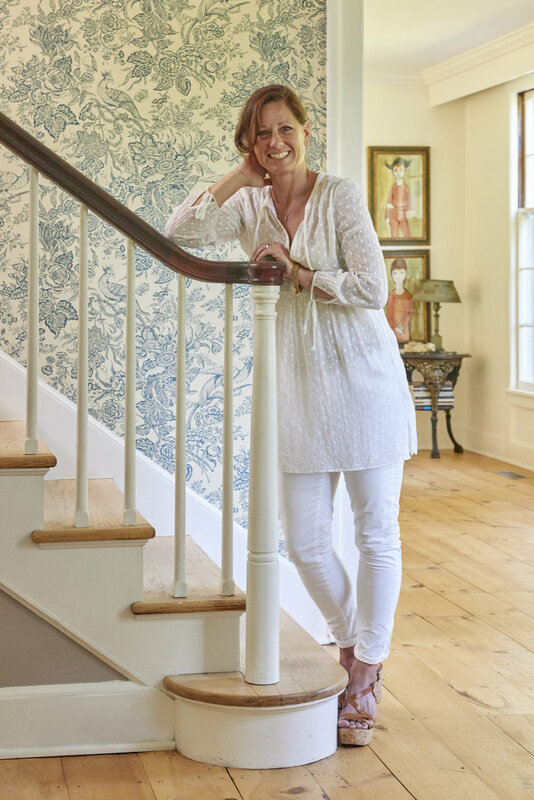 I celebrate these personal treasures and take pleasure in working closely with my clients to carefully consider their role in the renovation or decorating project. Surrounding yourself with pieces you love is the first step to creating your own home story and good design is achieved when this story blends seamlessly with your design goals. Please don’t hesitate to get in touch with any questions - let me help you tell your story!